Close to everything! 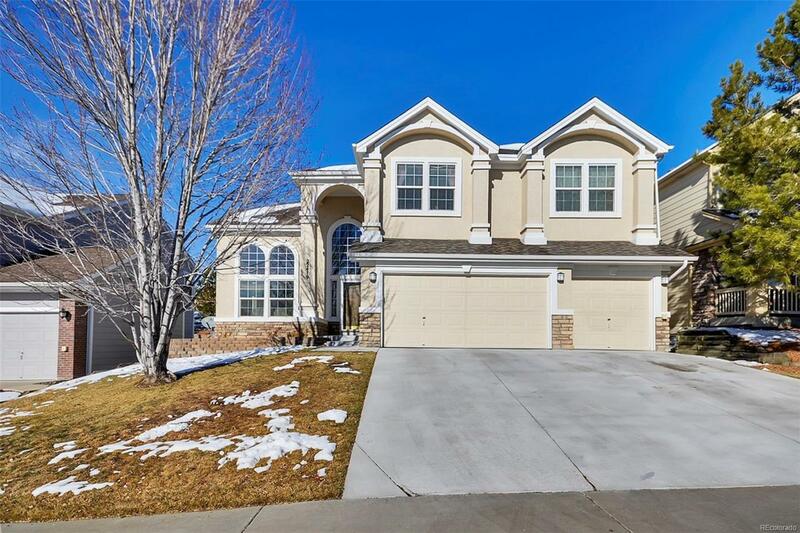 Community pool, schools (public/private/charter) open space, trails, downtown Parker, golf course and shopping. Easy access to Denver. 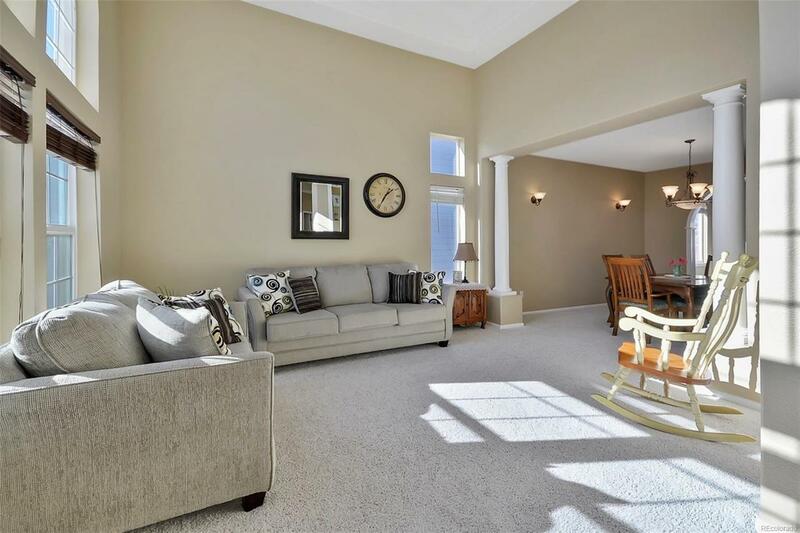 4 beds, 3 baths, main flr study and bonus sun room. Entertainers Kitchen with granite tile countertops, walk in pantry, gas cooktop, newer appliances all open to the Cathedral vaulted Family room with plantation shutters, fireplace , art niche and builts ins. 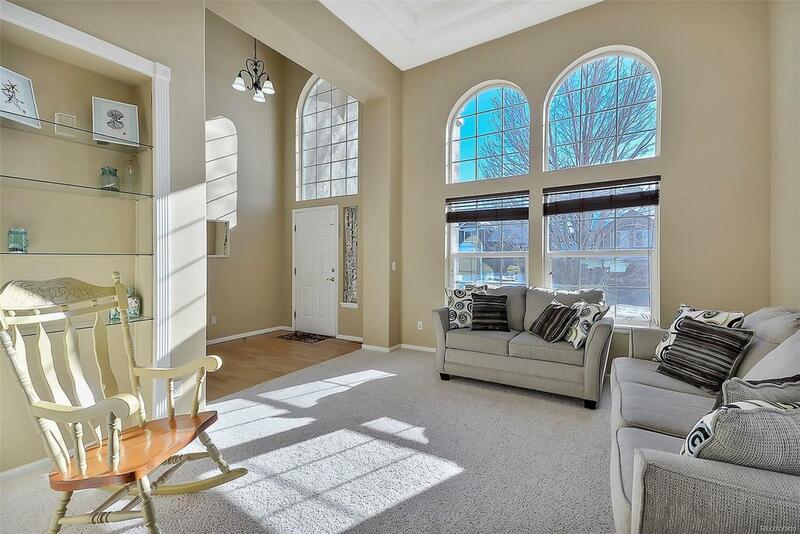 Large formal living room with coffered ceiling, dining room with pillars leading to bonus sunroom. Main floor study with French doors. Huge Master Bedroom with fireplace, spa like 5pc marble bath with his and her vanities, large shower and soaking tub. 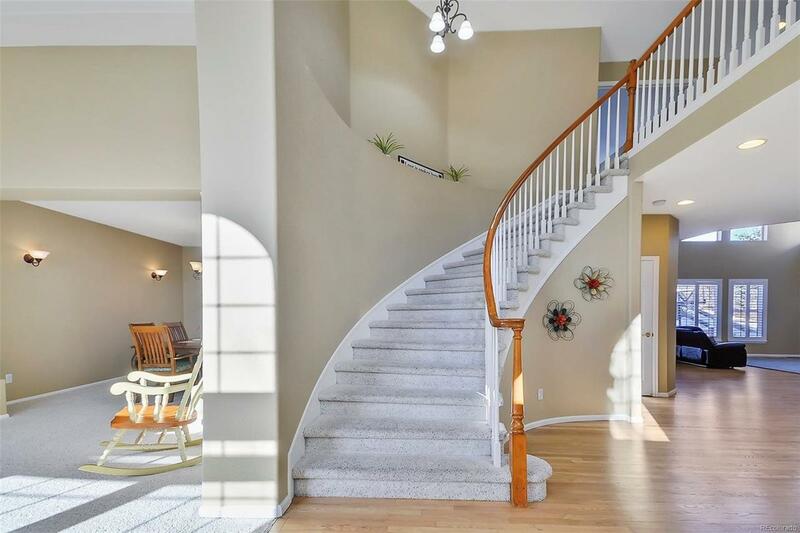 Hardwood floors throughout entry, Kitchen and Family rooms. Secondary bedroom with en-suite bathroom, extra large bedrooms, Finished basement with rec room and Home theatre room with theatre seating ready for your entertainment system! Easy yard maintenance with Mountain Views, and south facing front door and driveway.